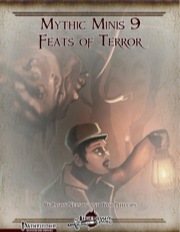 This time, we're all about feats that inspire true dread, so let's take a look! -Intimidating Bane (Mythic): Another mythic version of a base feat, making the rather bland base feat actually work and be less of a waste - better intimidating effects and free weapo focus with bane weapons when using the base feat. Neat! -Nightmare Fuel (Mythic): See, that's what I expected - impose penalties on those hit by your demoralize-attempts, frightful presence and similar panic/madness-inducing effects and add nightmare to the fray. The special caveat for qlippoths is just the icing on the cake - two thumbs up! -Terrifying Critical: A non-mythic feat with an mythic option, this forces foes hit by a crit to save versus 10+BAB or become shaken for 1d4 rounds, 1 on a made save. The rounds actually stack in both versions, with the mythic version also increasing fear-severity and mythic power as an optional fuel to increase the save DC. I'm not a huge fan of stacking condition-durations, but in this case, I do think it works, with the BAB +11 requirement ensuring it remains balanced. Neat and kudos! 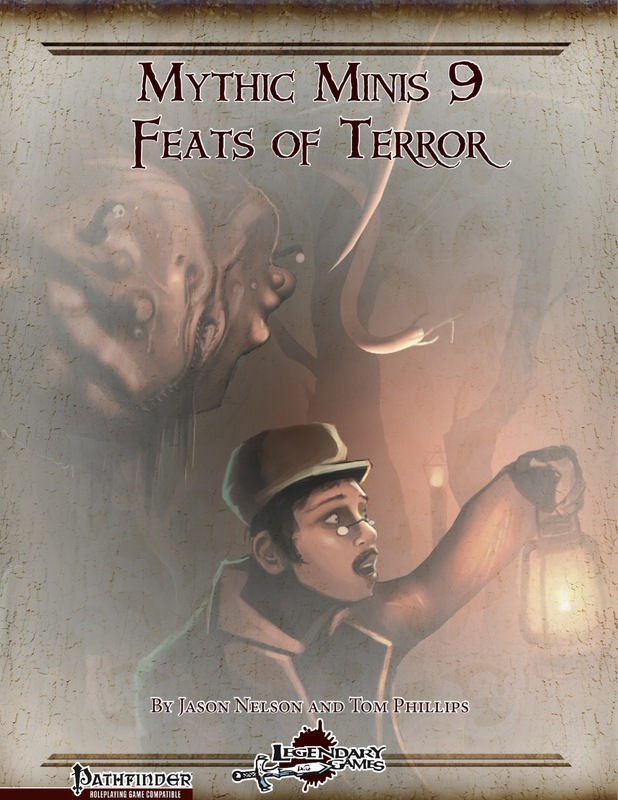 Jason Nelson and Tom Phillips deliver a nice array of fear-themed feats for the mythic rules that do quite a bit right - either by making otherwise weak options better or by creating cool new ones. That being said, the pdf's focus is a bit weird, with essentially (great) monster feats mixed with ones more in line for players. There's not much wrong here (apart from the potentially annoying mythic version of menacing blow - but mechanically, that one is still sound...) and a couple of the feats actually rock hard. On the other hand, while there's nothing wrong per se here, the pdf didn't blow me away. I'm also a bit surprised to find no options to use mythic power to temporarily eliminate immunity to fear, but that may just be me. This remains a solid, nice addition to the product line, if not a perfect one. My final verdict clocks in at 4 stars. Now available! Don't be scared; come and get it! Reviewed first on ENdzeitgeist.com, then submitted ti Nerdtrek and GMS magazine and posted here, on OBS and d20pfsrd.com's shop.